Bus services still available so I guess the train still down. 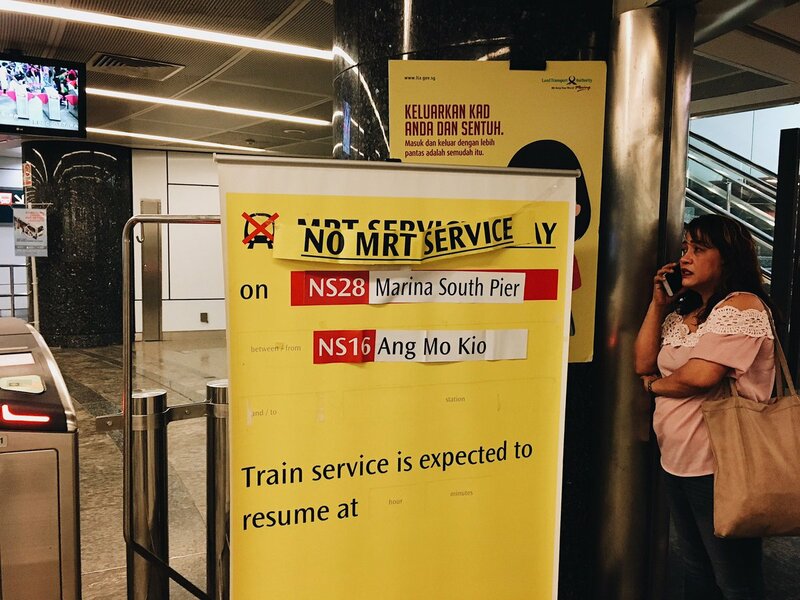 [NSL] UPDATE: Free regular bus &amp; bridging bus svcs btwn #AngMoKio and #MarinaSouthPier. Yes, still down.. and they cannot even give an estimate so I think it is quite bad.. I read somewhere the tunnel is flooded? Real or fake? It is true and has been reported. Does edmw think this will be resolved by Monday? ..for a government that wants its citizens to go 'CAR-LITE' by imposing such sky-high COEs and car prices... its citizens can't even have a reliable public transport system. Tml morning safe to take? Wah.. by Monday? Shouldn't it be by tonight?